After years of setbacks, Google’s self-driving car project finally seems to have a path to commercialization, but that long road has come at a pretty big cost, we’re now learning: According to Bloomberg, the company lost several employees because of a weird compensation system that doled out millions of dollars of bonuses, based solely on the project’s value. The mega-compensation system was such a burden that an executive at Alphabet cited it last year as a source for why expenses spiked, Bloomberg reports. 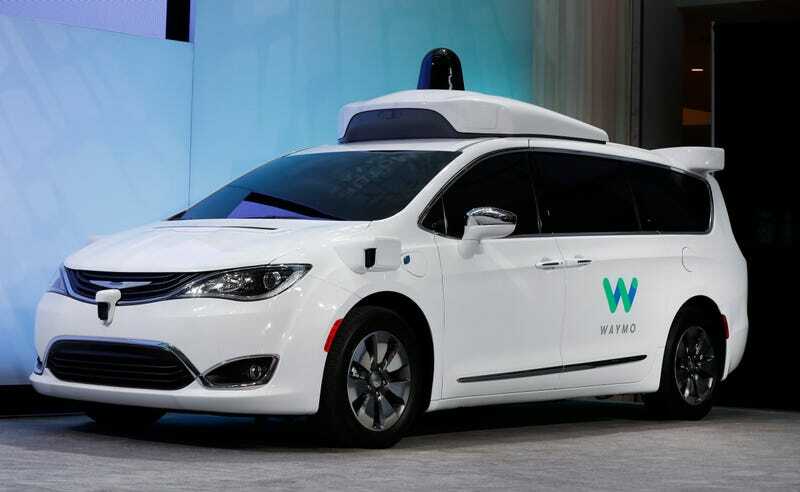 The project, now called Waymo, was valued so high that several veterans “didn’t need the job security anymore,” the news outlet reports. A tech company paying staff so much they can find a new job after getting rich. Feels quintessentially Silicon Valley to me. Two people reportedly—and, hilariously—referred to the setup as “F-you money,” according to Bloomberg. Nice. The unorthodox system started in 2010, soon after Google unveiled its first self-driving vehicle. It was constructed to tie employees’ fortunes to the performance of the project, rather than Google’s advertising money machine. In addition to cash salaries, some staffers were given bonuses and equity in the business and these awards were set aside in a special entity. After several years, Google applied a multiplier to the value of the awards and paid some or all of it out. The multiplier was based on periodic valuations of the division, the people said. A large multiplier was applied to the compensation packages in late 2015, resulting in multi-million dollar payments in some cases, according to the people familiar with the situation. One member of the team had a multiplier of 16 applied to bonuses and equity amassed over four years, one of the people said. They asked not to be identified talking about private matters.